Displaying 61 - 70 of 70 found posts. Citation: Bhattacharya S. (2002, February 15). In the hills, out in the cold. Indian Express. Citation: Despair in the hills could be BJP’s doom. (2002, February 13). Citation: Kazmi SMA. (2000, November 18). Uttarakhand panchayat women want greater role in governance. 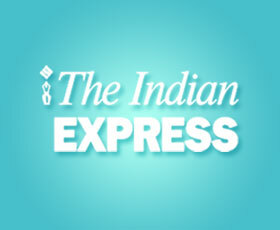 Indian Express. Citation: Women panchayat pradhans undergo training. (2000, August 6). United News of India. Toiling is thy name woman! Citation: Aggarwal A. (2000, March 9). Toiling is thy name woman!. Times of India. Citation: Kapoor A. (1999, October 18). Need to rewrite UP forest rules. Times of India. Citation: Kapoor A. (1999, August 23). Uttarakhand women break new ground. Times of India. Citation: Gurung M. (1999, July 1). Female Foeticide. Citation: Discriminated hill women suffer in silence. (1998, June 16). Times of India.